Owen Taylor, the great grandfather of the current Managing Director, Richard Taylor started the business in 1922 at Chestnut Farm in Somercotes which operated as a farm supplying its own abattoir on site. This then supplied the local retail shops in the Leabrooks, Alfreton, Somercotes and Riddings villages. The reputation of the business was built for providing local high quality meats, sausages and pies. The abattoir was later moved to the current site at 27 Main Road, Leabrooks when Chestnut Farm was outgrown and the retail shops became a hugely successful concern. In 1977, Owen Taylors youngest son, the late John Taylor, took over the business upgrading and expanding the wholesale and contract catering side of the business and in 1992, grandson of Owen Taylor, Richard Taylor took the position of Managing Director and developed the business into its present updated, forward thinking company that they have today. We have used Owen Taylors from day one of The Dial, this has created a strong relationship with them and ensures that we always get the products to the standard, specification and quality that we require and what our customers expect. The quality of the produce is excellent and of course is local, with cattle, lamb and pigs all coming from local farms, they use farms from Marchington, Shardlow and Castle Donington to name a few. 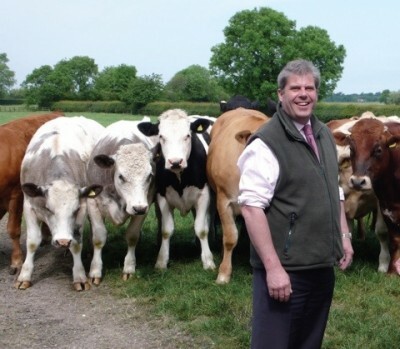 Traceability is also excellent, Richard personally visits the farms to select the standard & quality of the animals that he wants this means that the meat on our menus can be traced from farm to plate.